Chinese Company and Securities Law is a detailed, systematic explanation – by a practising lawyer with over ten years experience at one of the top law firms in China – on the rules and procedures affecting FDI, M&As, and listings in China today. Focusing on practical matters such as key regulations, regulatory requirements, and transactional procedures and structures, the author leads the practitioner through the maze of interconnected national and local authorities, demonstrating expert knowledge of when, and under what circumstances, various rules apply and when they do not, as well as showing practical skills on how to structure a particular deal under current regulations. 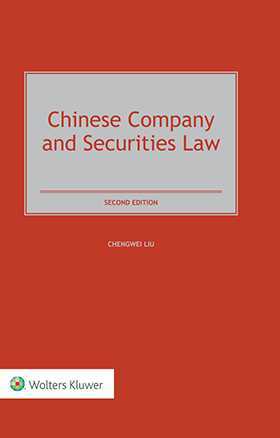 This book is written from the perspective of foreign investors with investment interests in China, and thereby enables one to comprehend the various complex reasons the government hedges foreign investments – either green field Foreign Direct Investment (FDI) or Mergers and Acquisitions (M&As), with a complex system of laws, regulations and guidelines, bristling with challenges and uncertainties for even the simplest investment or restructuring undertaking. This book deals with the special requirements and procedures that are of most concern and interest to foreign investors, by providing step-by-step guidance for investors and their advisors on what is actually required to achieve a successful outcome and how to achieve this in practice rather than looking only at procedures. the Initial Public Offering (IPO), follow-on offerings including private placement on Chinese capital market, as well as the issuance of corporate bonds in China. Since the year 2008 when the first edition of this book was published, many significant developments have taken place in regard to the laws and regulations in FDI, M&As and capital market. Such developments and new regulations as of October 2015 are discussed in this second edition. To facilitate a clear picture, this book contains figures and tables in relation to the regulatory requirements and procedures.